Home decoration experts, gardeners and anyone with a knack for making a home beautiful will agree that nothing livens up a home more than houseplants. These natural beauties will add that natural flare that is highly important for an effective decor. The unfortunate truth, however, is that most people fear they don’t have the expertise and time it will require to care for these houseplants even though they want to use their beauty. 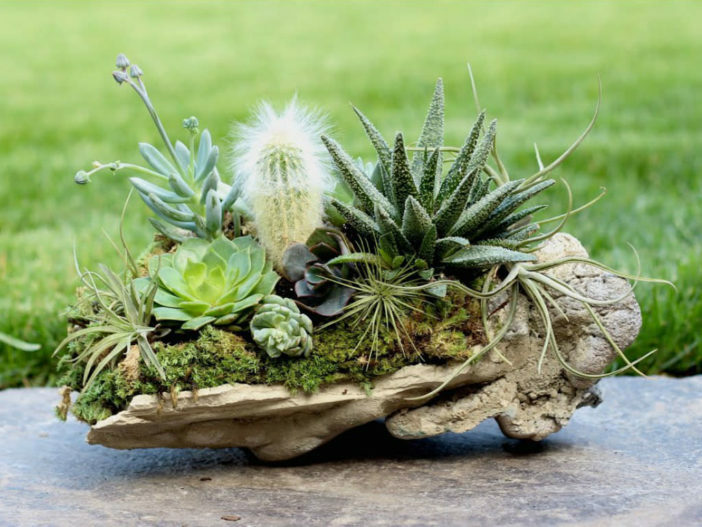 If you are in this category or you are just an ardent lover of nature looking for ways to use nature beautifully, then we are pleased to introduce to you the succulents and air plants. Succulents are an incredibly diverse group of plants that store water in their stems and leaves. Because they require little or no water, it makes them a perfect fit for neglectful gardeners who might not always keep to gardening schedules. Air plants, on the other hand, are an incredibly wide range of plants with great versatility because of their ability to grow without soil. Because of this, you can switch up your decorative touch by choosing from a wide range of fun containers for your air plants. They are epiphytes that require a branch to grow on. Succulents and air plants are great even for those that are “bad with plants”. They are hard to kill and versatile enough for use in a wide range of creative projects. You can use them to create living wreaths, roofs and tapestries, vertical gardens, fairy homes, terrariums and anything else where bulletproof beauty is required. While succulents are low-maintenance because they don’t need a lot of water, wispy and delicate air plants are unique because they don’t even need soil at all. They generally need nothing more than sunlight, occasional watering and average humidity, with a few exceptions. Species with smooth, green leaves generally need more moisture and humidity than the fuzzy and silvery xeric species, which are excellent candidates for growing indoors.